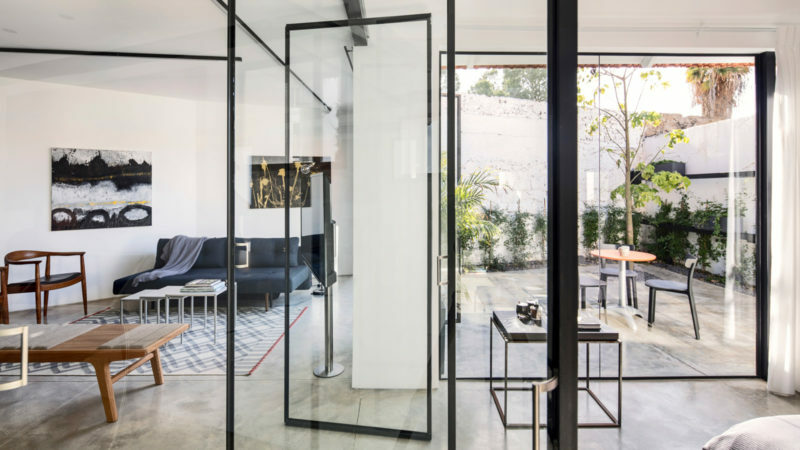 This 70m² studio in Tel Aviv redefines living in a glass house. 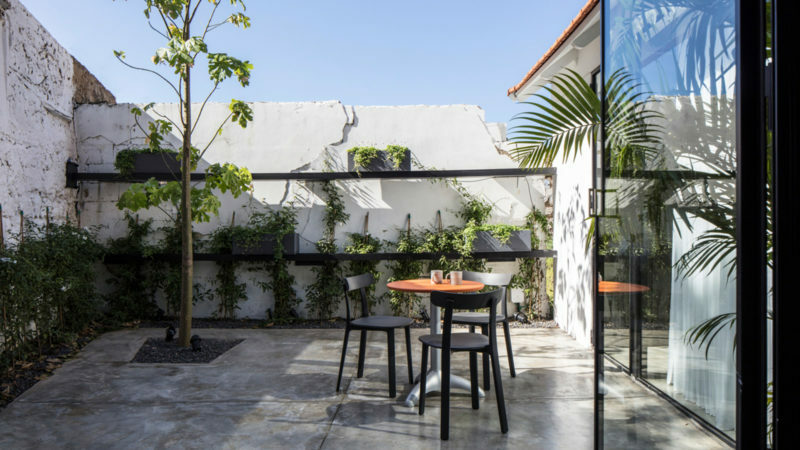 A5 House by Raz Melamed architects features the perfect balance between modern renovation and respect for the home’s historic origins. 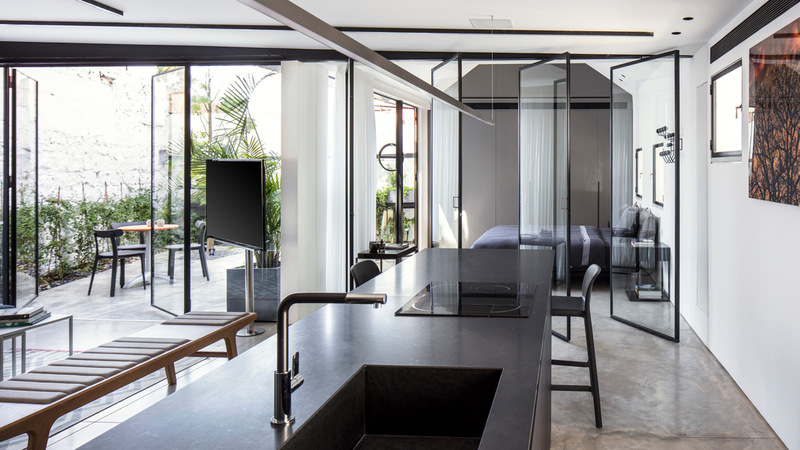 Through the use of vitrine windows, Belgian style pivot windows, and wooden shutters, the home creates additional space while still retaining a heightened level of privacy. 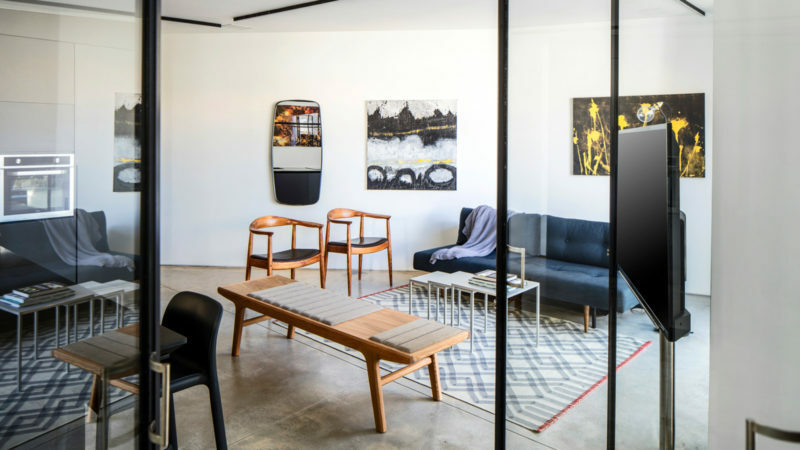 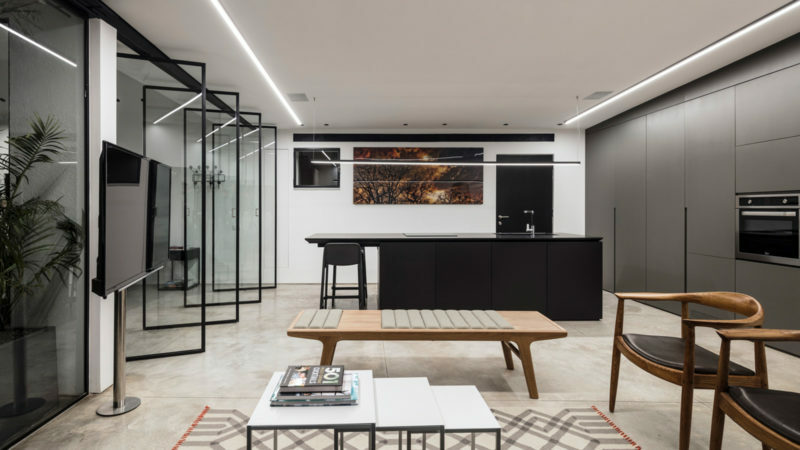 The open interior offers clear lines of sight, ample space (in an otherwise small location), and the airflow that is needed for the warm region. 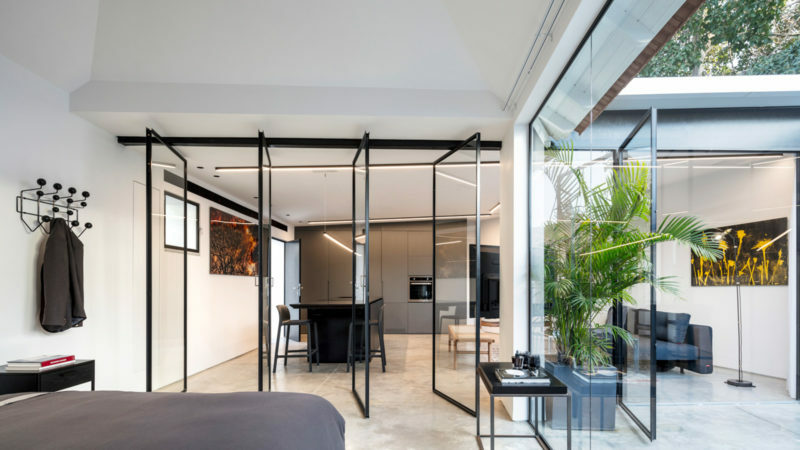 A5 House showcases how a bit of ingenuity can go a long way; a bathroom is subtly hidden behind a door in the kitchen; the private courtyard creates an open interior space that is hidden from the exterior. 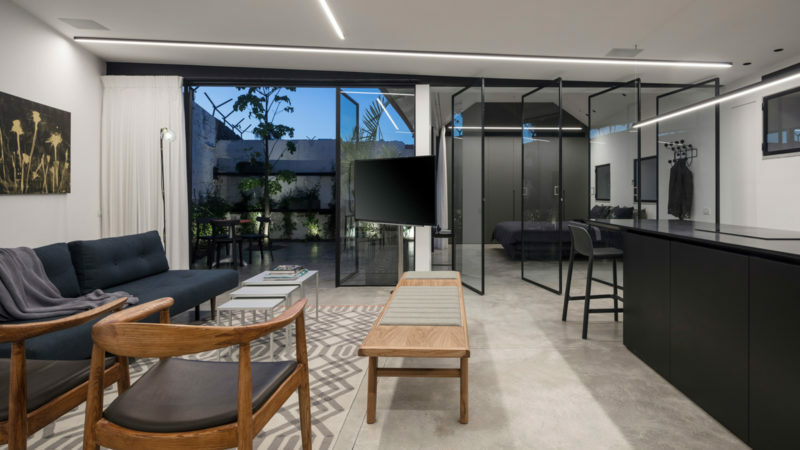 By playing with the idea of what the eyes can truly see, A5 House by Raz Melamed architects uses strategically placed glass panels to prove that a small space can truly become a dynamic architectural feat.